New Delhi: Ruling Bharatiyaa Janata Party, facing considerable embarrassment on the issue of the Delhi District Cricket Association (DDCA) today chose to strike back and suspended Krti Azad, the party MP from Darbhanga in Bihar as he had opened a front against Union Finance Minister Arun Jaitley over the alleged DDCA scam. 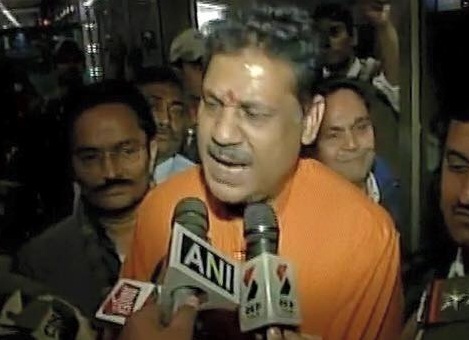 ‘Mr Kirti Azad is being suspended with immediate effect for indulging in anti-party activities,’ the BJP said in a statement. Azad had been told by party president Amit Shah not to go public but he had held a press conference on Sunday, hurling charges about alleged irregularities during Mr. Jaitey’s tenure as DDCA chief.